Riza Nolasco, Vice President Finance and Administration, has been leading this department since 2002. The areas of operations include Finance and Accounting, Information Technology and Procurement. Her team is dedicated to ensuring the agency’s financial integrity, procurement and regulatory accuracy, efficient communications and technical operations while providing the checks and balances needed to maintain strong fiscal management. Because of Ms. Nolasco’s leadership, for 14 consecutive years, Fort Worth Housing Solutions (FWHS) has received national recognition for its excellent work in the area of government accounting and financial reporting. Riza is also active with the Texas and Southwest chapters of the National Association of Housing and Redevelopment Officials. 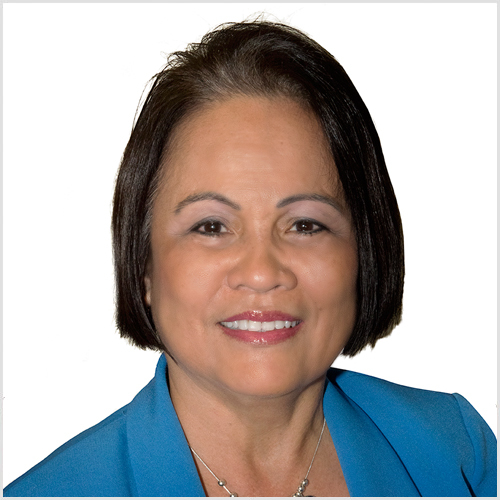 Ms. Nolasco is a Certified Public Accountant and joined the Dallas Housing Authority after immigrating to the United States from the Philippines. While there, she served in various capacities including, Accountant, Treasurer, Budget Officer, and Chief Financial Officer before coming to FWHS.